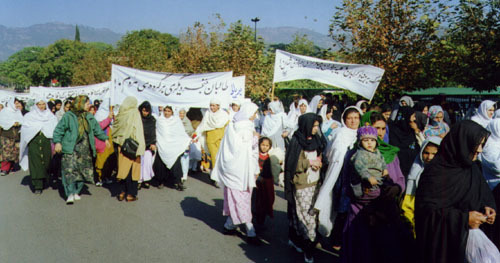 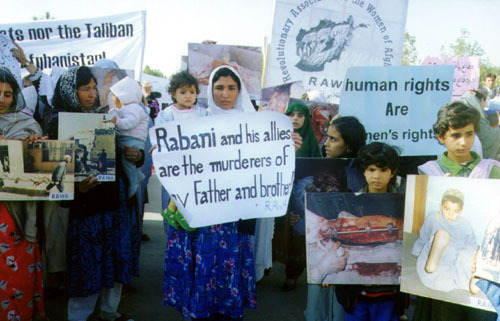 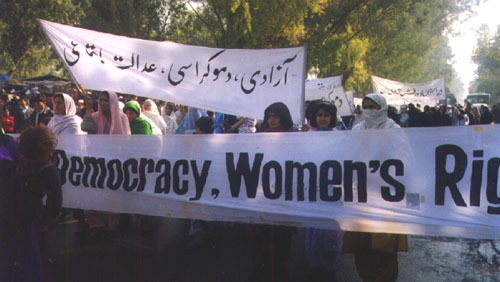 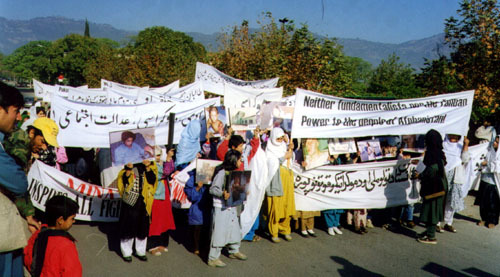 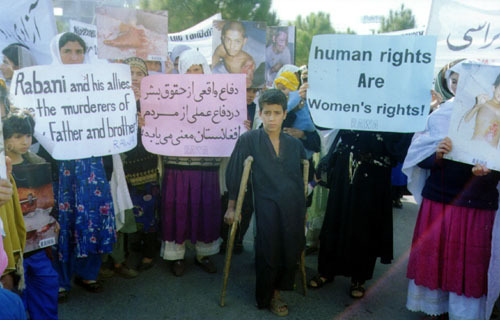 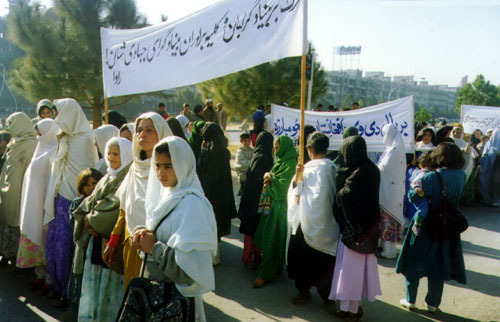 The demonstrators were holding banners and placards, inscribed with slogans against Taliban and demanding of the United Nations to take note of violation of women rights. 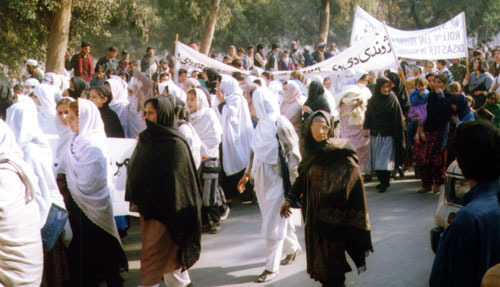 After an hour sit-in in front of UN office the participants went to Afghans residential area, Peshawar Mor and marched through the streets. 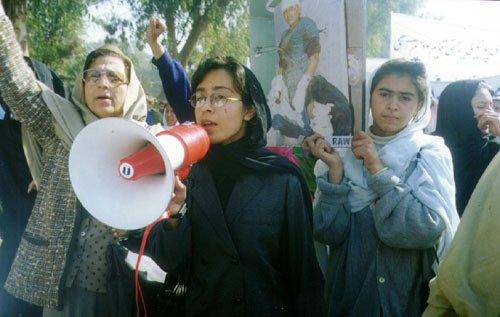 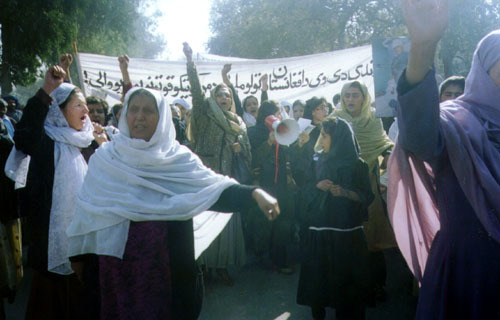 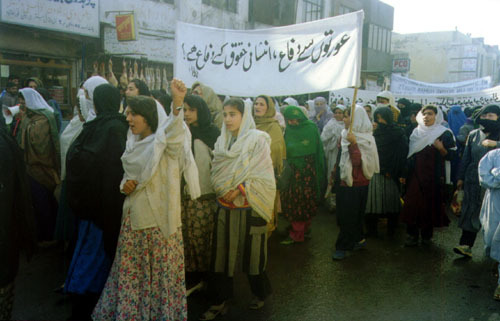 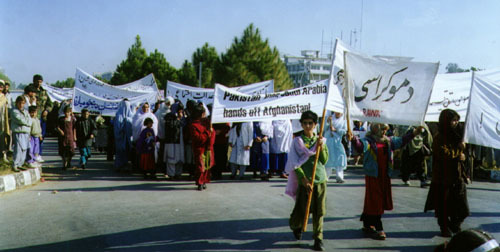 In addition to RAWA members and activists, a large number of Afghan women from different cities in Pakistan and some from nearby provinces in Afghanistan, participated in the demonstrations. 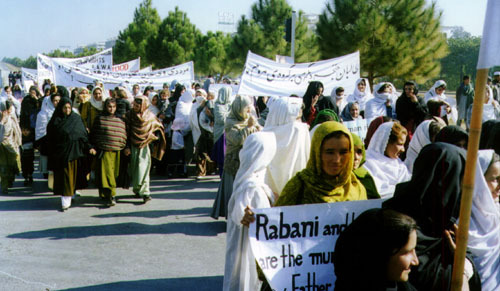  The demonstrators were chanting slogans against Taliban and Jehadi fundamentalists. 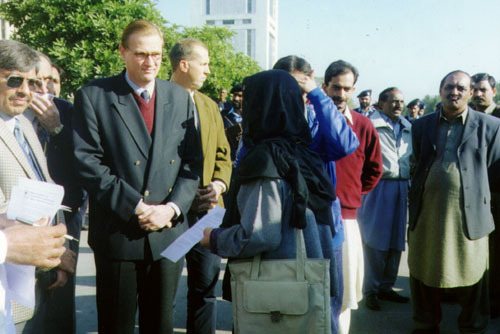 Gathering in front of the United Nations Headquarters in Islamabad, a member of RAWA, handed over a memorandum to Mr Richard Dictus Operation Director of UNDP in Islamabad. 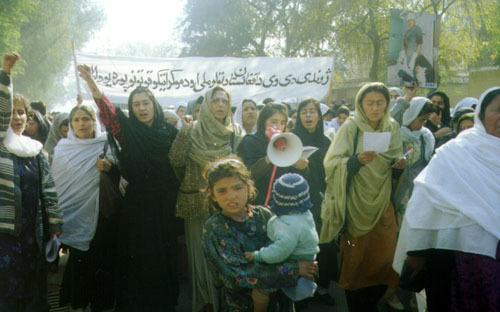 At Peshawar Mor, a large number of Afghan women joined the protest rally. 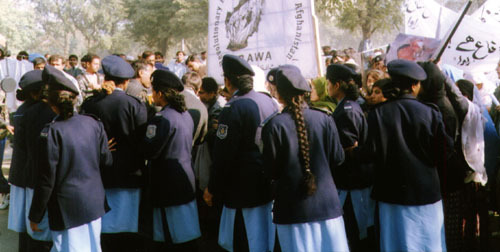 Police tried to stop RAWA rally but the participants resisted and carried on the protest.